Over the last few weeks we have been looking at 3rd party, aftermarket options for connecting your digital life to your vehicle. While Android Auto and Apple CarPlay are wonderful options, they are also proprietary. For this reason, we thought we should take a moment and outline a completely open source option. 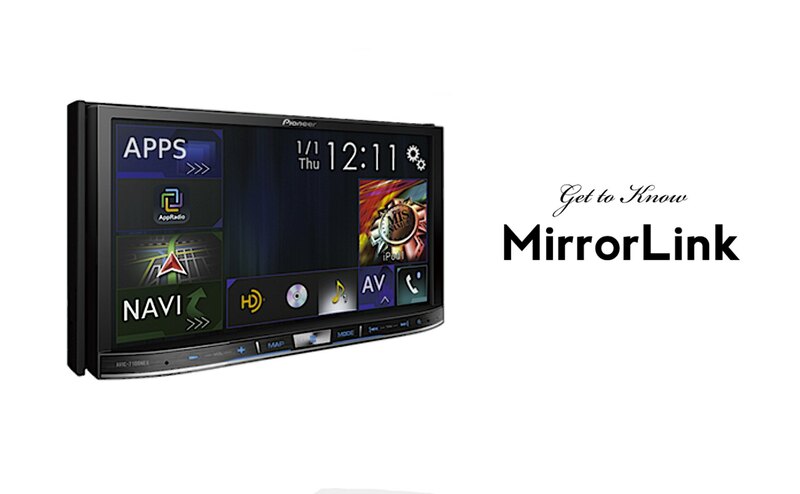 Though Nokia kicked it off, MirrorLink is a standard maintained by the Car Connectivity Consortium, which counts among its members major auto manufacturers like GM, Honda, Hyundai, Toyota, and Volkswagen, and smartphone makers LG, Sony, HTC, and Samsung. It has evolved, then, into the potentially perfect mix between industries. Here they’ve all worked together to define standards and a certification process that ensures apps meet global distraction guidelines. If apps are safe, they become MirrorLink approved and can be displayed on any MirrorLink-equipped car. Open and Closed are terms used to describe software platforms. “Closed” platforms are those that use proprietary frameworks that are not freely used an manipulated by outside developers. They usually offer a toolkit that allows third parties to make their applications work on the platform, but they do not allow outside sources to modify the user experience in any way. Closed systems for your vehicle include Android Auto and Apple CarPlay. An open system means it can be used, changed, and modified in any way and still work perfectly. In the case of MirrorLink, anyone can create an application and have it made available to all users, and on top of that, any car manufacturer can create their own apps and make them only available on their own cars. It gives the best of both worlds without completely locking down the system. MirrorLink makes the promise of the connected car. Simply connect any MirrorLink-enabled smartphone to any MirrorLink-enabled vehicle, and take advantage of easier and more responsible access to navigation, music and phone apps while you drive. The apps run on the smartphone, but you see them on the dashboard display and hear the audio via the car’s speakers. With MirrorLink, huge icons make apps easy to use and you can control navigation, music and more as easily as turning on a blinker. Designed for maximum interoperability between a wide range of cars and smartphones, MirrorLink makes connected driving easier, safer and more enjoyable. The pros are pretty simple. Basically any phone (other than Apple or Android) will work with MirrorLink. Since Apple and Android already have their own in car options, this is no big loss. If you use a phone that does not have the huge foundation of support that these two companies have, this software solution is for you. The cons are just as obvious. Since this standard is supporting phone makers that make up a small portion of the overall smartphone market, there will be less adoption. Less adoption means less iteration on the software. Less demand means fewer apps. Less apps often means the early demise of a software platform. Will MirrorLink survive the onslaught from the heavy hitters in Silicon Valley? Only time will tell, but competition is always a good thing. Unfortunately loads (including my own) are not.